A petition to stop Navy exercises that may harm dolphins and whales has amassed more than 492,312 signatures. The petition at SignOn.org is closing in on its goal of 500,000 signatures. It calls on the Navy to stop using an underwater sound system in the Hawaiian Islands, the California and Atlantic coasts, and the Gulf of Mexico. 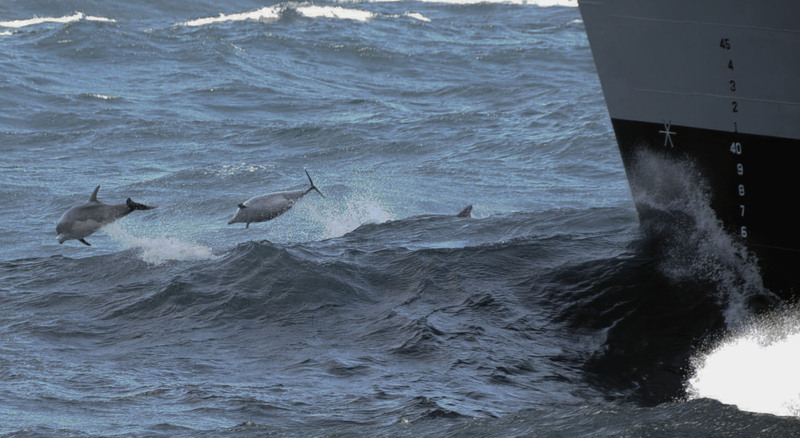 The petition is in response to the Navy’s statement in an environmental impact report released in May that its sonar could potentially harm marine mammals, causing hearing loss or death. Petition creator Lyndia Storey claimed as many as 1,800 whales and dolphins could be killed and up to 15,900 could suffer hearing loss. The numbers are worst-case scenarios, Pacific Fleet spokesman Mark Matsunaga told MSNBC. Do you think the Navy poses enough of a threat to wildlife to merit a change in training location or equipment use? They should find whoever started this petition and arrest them because if there is an “underwater sound system” in the Hawaii area then a civilian should not know about it. And if there is NOT one then they should be arrested for false accusations. Either way, they have no idea what they’re doing, nor what they are even talking about. There are scientifically observed links between Navy active sonar use and whale and dolphin deaths as a result of ear and brain hemorrhaging. The Navy should do everything it possibly can to avoid this — especially in areas inhabited by endangered species. Many environmental groups have called for the Navy to use and develop alternate passive sonar technology. Pingback: The Scoop Deck – Internet-surfers petition to save marine wildlife | Our Endangered Planet and it's Wildlife. It is the Navy’s responsibility to protect our country. It is not the Navy’s responsibility to kill creatures of the sea. These innocent beings are not our enemies. They should not be knowingly killed.